Magnificent! 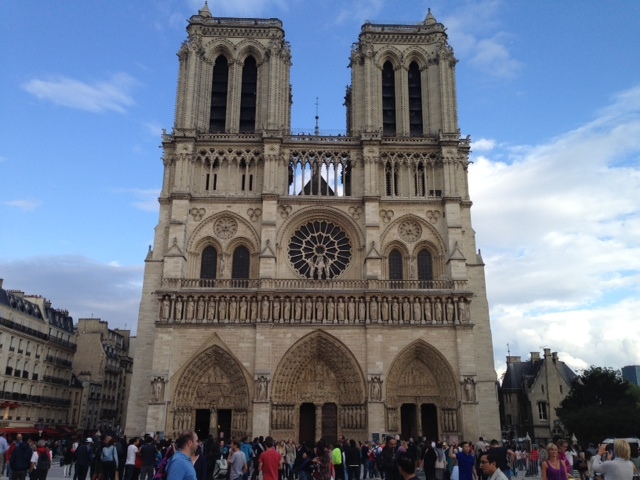 Did you ever see the PBS show about the making of a cathedral? (I looked it up just now; it’s on YouTube.) 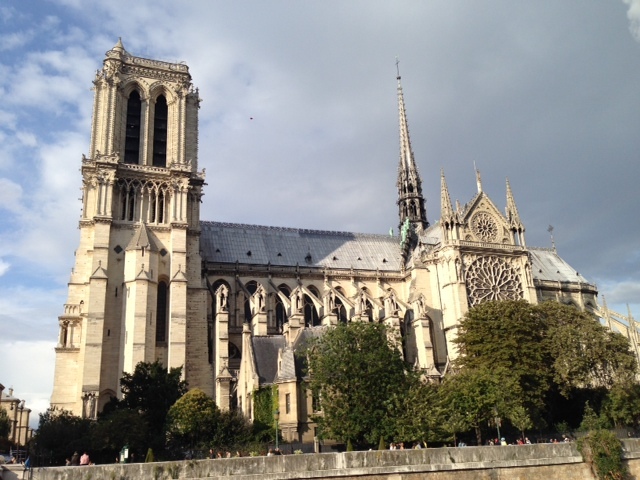 So much knowledge and craftsmanship went into them yet only recently did modern people discover the science behind the flying buttresses. Awesome in the purest sense of the word. I didn’t see the show but I have read some books about the construction and how many many years these places took to build. Very intriguing and interesting. It’s really very cute, Jillian. There are animated parts are “narrated” as the chapters in a monk’s journal over the decades as the cathedral is built, covering war and plague, etc. In between are scholars and engineers explaining the buildings in detail. Wonderful they tell a visual story all you need is imagination. Gorgeous architecture. You don’t see anything made to that level of detail anymore, it seems. Very true, Laurie. Sadly, we’ve become a society that builds not to last. And abandons buildings with what I might say is abandon. Sad.